This week’s artist doesn’t need an introduction. We all know him, and we all love him. Chris Stapleton, everybody. 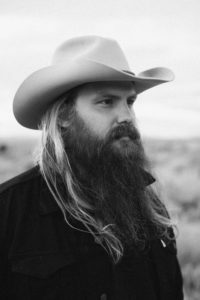 I’ve been following Chris Stapleton’s career since his debut album Traveller back in 2015, though I wish I’d been following his songwriting career as well, considering that I’d unknowingly grown up on all of his songs. 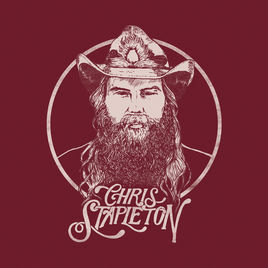 What initially drew me to Stapleton was his voice. The first time I heard him sing I was convinced it was Travis Tritt, and if you know me at all, knowing how big of a fan I am of the 90s, then you know how ecstatic that made me. Then there was that mind-blowing cover of “Tennessee Whiskey,” a favourite of mine both from David Allan Coe and George Jones. I guess you could say that Chris and I just happened to get off on the right foot from the very beginning. The album is packed heavily with honesty, hardships, and troubles. Stapleton channels Waylon and his rough and rowdy, rambling ways in “Hard Livin’,” the feeling of disappointment in coming up short to your family’s legacy in the ever haunting, chill-inducing “Scarecrow in the Garden,” and the comfort of strangers in “Nobody’s Lonely Tonight.” “Tryin’ To Untangle My Mind” finds him deep within his vices trying to make sense of his thoughts and ways. 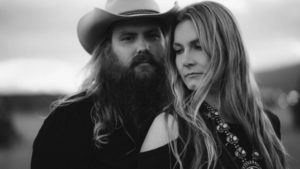 He focuses on family in “A Simple Song,” backed beautifully by his wife, Morgane Stapleton, who lends her angelic voice to most every song on the album. “Midnight Train to Memphis” was written by Stapleton and Mike Henderson and originally sung and recorded with The Steeldrivers and given new life. “Drunkard’s Prayer” is a solo, soulful confessional, drunkenly lamenting his shortcomings in a past relationship, to God. Chris Stapleton has broadened the genre of mainstream country music, creating a much-needed crack in the pop and “bro” country wall. We’ve gotten so used to a hip-hop, pop, and rap laced subgenre which Chris Stapleton has offered a welcomed, soulful, and fresh alternative to. There’s no possible way you’ve missed out on this album, but on the off chance that you have, I’d 100% recommend it. In the few short months since its release, it’s become a staple.